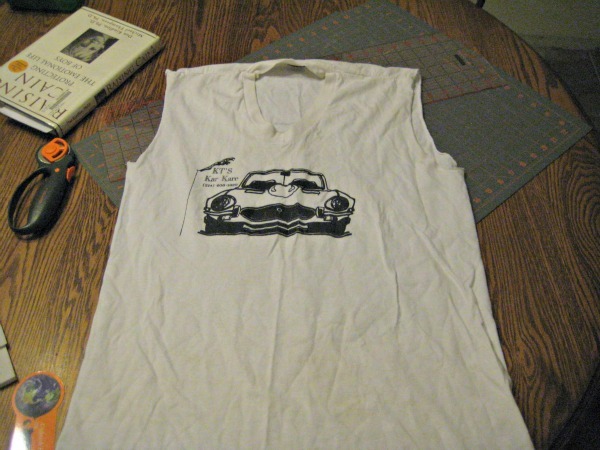 Some people save because “it may come in handy some day.” Other people save because “it reminds me of something nice.” I have saved this shirt for about twenty years. It is made for a man, and has NEVER fit me right. I tried to make it smaller soon after I got it, but it still fit poorly. I’ve maybe worn it twice. 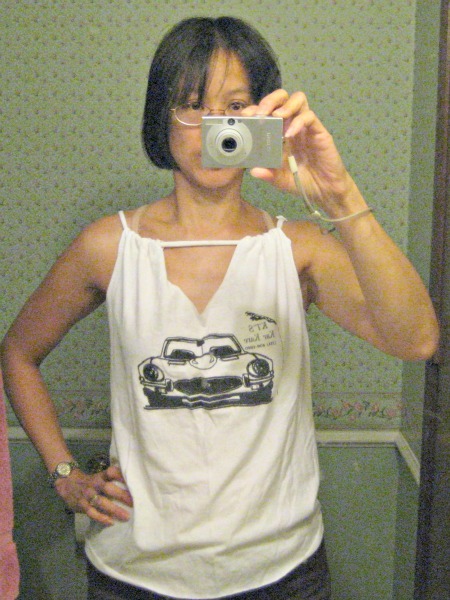 THEN, I pinned this item and from the original post at crafterhours, I saved an ill-fitting shirt through a seven minute makeover. How frugal is that, no money spent and I get a new shirt. Here it is, a family business. It’s a tubular shirt, v neck. 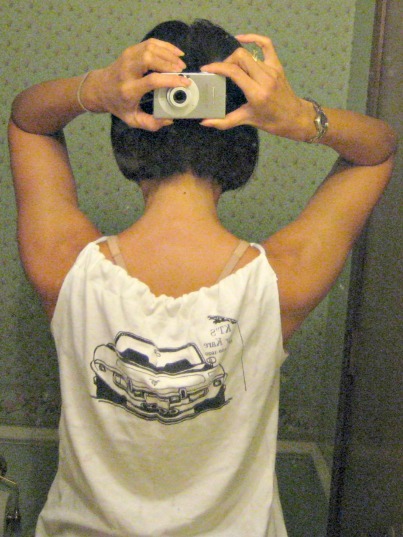 I cut the sleeves off and tried to shorten the armscye earlier (what I talked about above). Fairly unsuccessful. It comes with having a small bustline. But the tutorial helped with the armscye a LOT. Check it out. Just cut the neckline. It reduces that armscye dimension a lot. Measure twice; cut once. It really didn’t matter in this case. Just cut it. 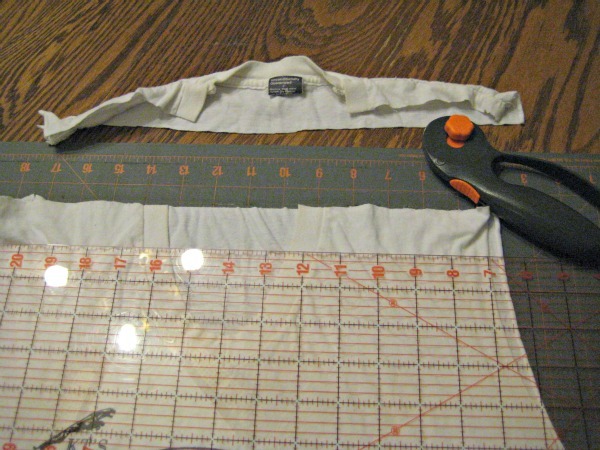 The very last step is to roll the neck down to the inside of the shirt and thread the strip of hem through. Here is mine, front and back. 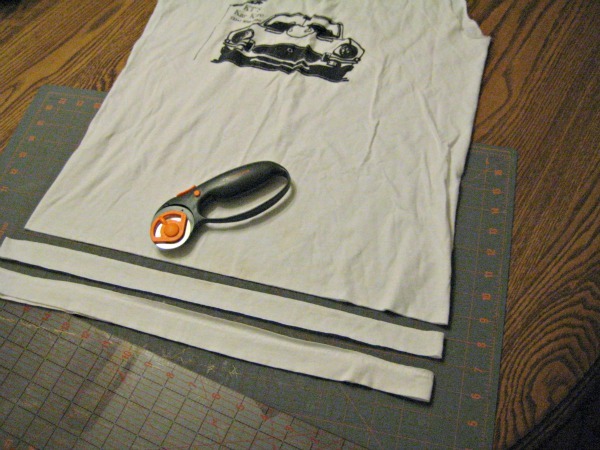 The armscye can be adjusted with the hem strip, with no ill effects on the other parts of the shirt! This post is part of the Frugal Tuesday Tip, where you can find all sorts of good stuff every week. I’m also linking to Jaime’s MMM — I haven’t visited her blog in a while, but now that I have some space to craft in my living room, I may be reading more. Check out her website, I’m sure you’ll find plenty to look at. 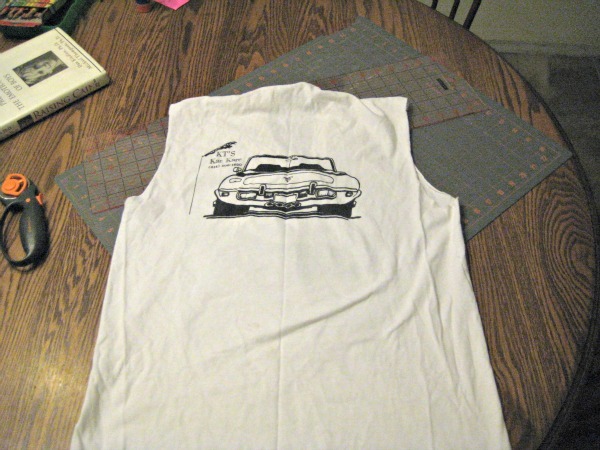 This entry was posted in crafting, frugal family and tagged t shirt, tank top, upcycle. Bookmark the permalink.